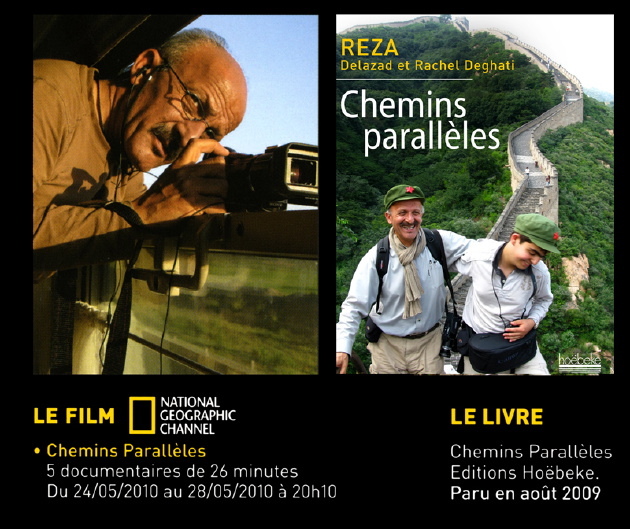 special day of programing for the five episod documentary made by Reza and his son Delazad in summer 2008 during a Beijing-Paris trip by train. This series of documentaries (26 min each) are produced by National Geographic Channel. This day of screening and meeting will be held at Reza’s outdoor exhibition “One world One Tribe” at Lavillette Park, Paris. Time: Saturday, december 11, 2010 from 2 p.m. to 6 p.m.